We have officially hit the half-way point of the XBlades AFL Sydney Women’s competition, so we have sat down to review the season so-far. Last season’s second placed side and competition runners-up have again been strong this season and will hope to go deep into the finals in 2017. Rachael Stack has been a standout performer so far this year, taking advantage of some great delivery from the midfield, as led by the AFLW number one Draft pick, Nicola Barr. The Bombers sit one game clear on top of the ladder entering the midpoint of the season. Can they maintain this run of form into the finals? The Stingrays have been bolstered by the recruitment of Sera Kaukiono as another goal kicking forward, to share the load with the dominant Rebecca Beeson. Maddy Collier has been in great form so far this season and is the engine room of the Stingrays midfield. Sitting just one win behind last year’s Grand Final opponent’s Sydney University, the Stingrays will push hard to go back-to-back in 2017, and are well placed to do so at this point of the season. After missing out on a finals spot by percentage points in 2016, Macquarie University have impressed many this season with their skill and work rate. This determined team is led by Amanda ‘Fridge’ Farrugia, who pushes the Warriors both on and off field. As a senior member of her side, Fridge continues to drive their standards and has again been impressive this season as one of the Warriors best players. 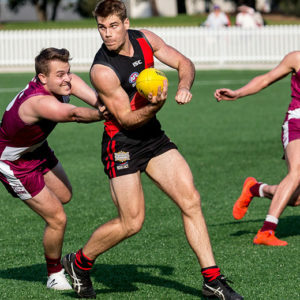 This year Macquarie University has had a spread of goal kickers with many midfielders pushing forward and adding scoreboard pressure on their direct opponents. Macquarie University are comfortably placed in third position on the ladder as they enter the mid-point of the season. Expect the Warriors to have a strong run into the finals series where they will raise their hand as a Premiership contender. In 2017 the Giants started the year by announcing a joint venture with the Penrith Ramettes. This move has bolstered their squad and has seen them become one of this year’s top performers in the Premier Division. This year the Giants enter the mid-point of the season in the top four, and have been very competitive on field showing great determination. Melissa Brydon has been influential this season kicking 19 goals to date. Can the Giants bring their best football in the second half of the season to play in their first ever finals series? The Power have played some outstanding football this year and enter the half-way point of the season in a good position. 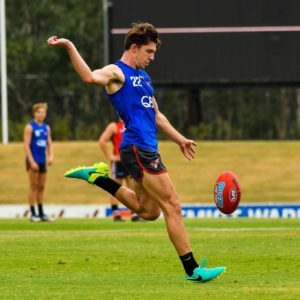 The return of Rhe Lotter to the Power has been welcomed around the club, with the classy small forward bagging 17 goals so far. Ash McClure has also been in great form for the Power, proving a vital shot on goal. The Power will be quietly confident in the back half of the season of securing a finals spot, and will look to do some damage in September. 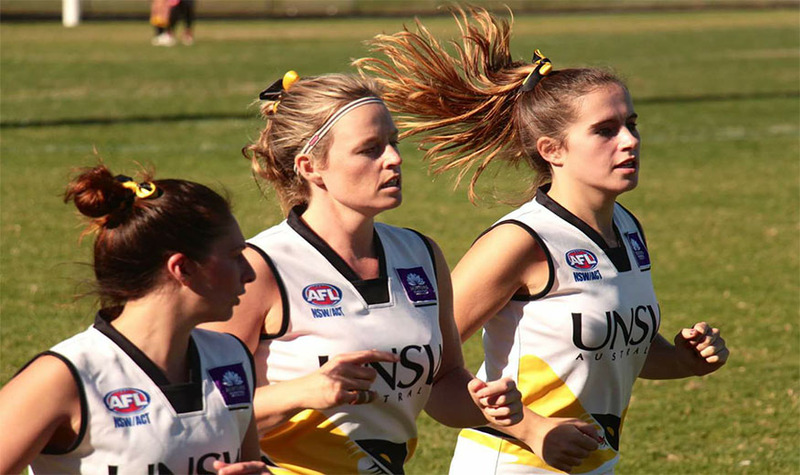 Many were unsure of how the Shamrocks would go this year heading into 2017 on the back of last season’s Women’s Division One’s Premiership, however UTS have shown the competition that they can match it with the best. Carol Breen has again been a standout for the Shamrocks, showing leadership among the ranks of this newly promoted team. The Shamrocks will be hopeful of winning some critical games in the second half of the season to propel them into finals contention. Newtown are in an unfamiliar position heading into the mid-point of the season, as last year’s third placed team find themselves towards the bottom of the ladder. The Breakaways have just come off a rough four weeks on the fixture, in which they played against the top three sides in the competition. Sitting just two wins behind fifth place, expect the Breakaways to race into finals contention. 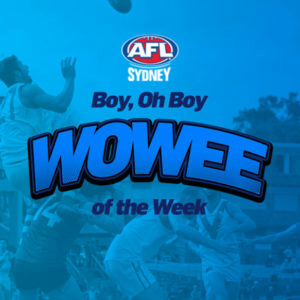 The Western Wolves enter the second half of the season in last place on the ladder however, they may yet make a play for finals. The Wolves have played some fantastic football this year and can consider themselves unlucky to be in eighth, with the side only two wins behind the fifth placed Southern Power. 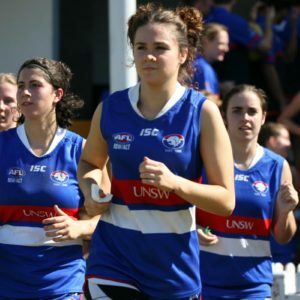 Melissa Freckelton, Lael Kassem and Sian Furniss have all been standouts this season for the Wolves, and will feature strongly heading into September. lThanks Coach! Nominate your local coach now.